The Derungs Iris LED treatment lights are made in Switzerland. 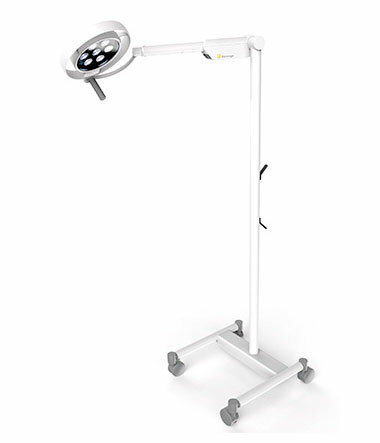 These range of quality Medical Lamps are a proven performer in surgeries, clinics and hospitals all around Australia. 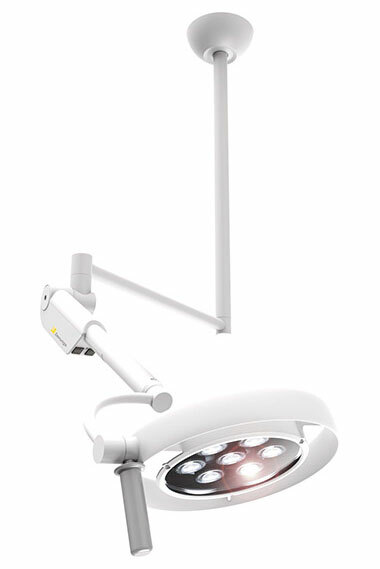 The Iris LED is a universal minor surgical light for every treatment room. The two-stage dimmable illumination strength provides a perfect view of the patient’s tissue. The LED technology ensures exact colour rendering, maximum illuminance and a long LED service life. 50,000 lux @ 1 m.
Homogeneous light in work area with no thermal radiation. Dual output intensity -60% or 100%. 16watt LED 4300K white light. Precise colour rendering Ra >95. Weight-balanced articulation joint system for easy adjusting and stable positioning. Easy to clean and disinfect thanks to the smooth surfaces and resistant materials. IEC 60601-2-41 standard treatment light for minor surgery. Stable roller stand with large casters. 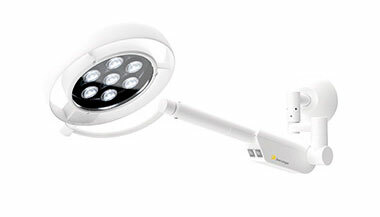 Ideal for emergency situations where extra light is required. Endless rotation of the stop-less shafts of the articulated arms. Sturdy luminaire head in powder-coated aluminum. 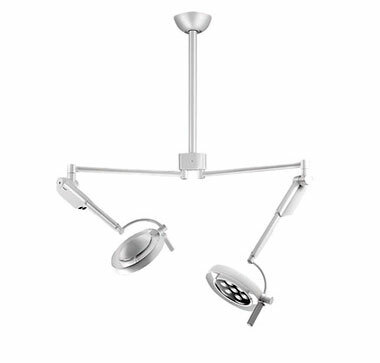 Max ceiling height -3 metres. Ideal light for the over bed treatment situation. 2 x 50,000 lux @ 1m.